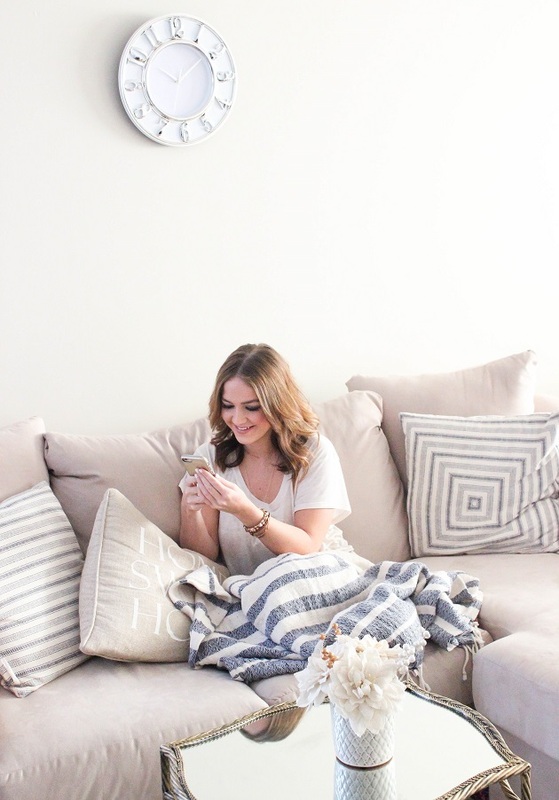 It's cozy season and I'm officially glued to my couch and throw any chance I get! Even on my couch potato days I still like to keep a sense of style going on. A comfy pocket tee, stretchy pants and a few good accessories keep me feeling like I'm not bumming it too hard. 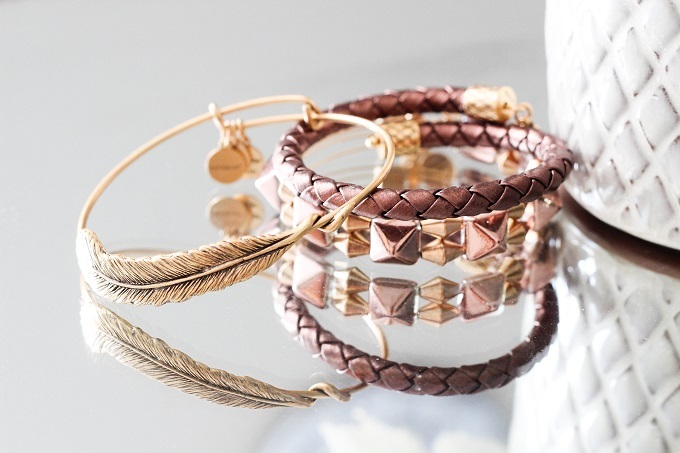 I love to stack my Alex and Ani bracelets for an effortless accessorized look. Each piece has a special meaning and is a constant reminder of my dreams, goals and inspirations! This was my first Alex and Ani "stack". 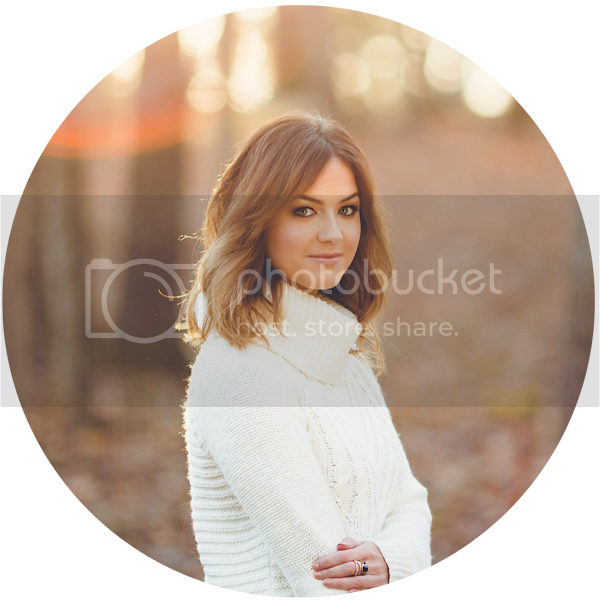 I wanted rich warm tones that I could style all throughout the fall season. 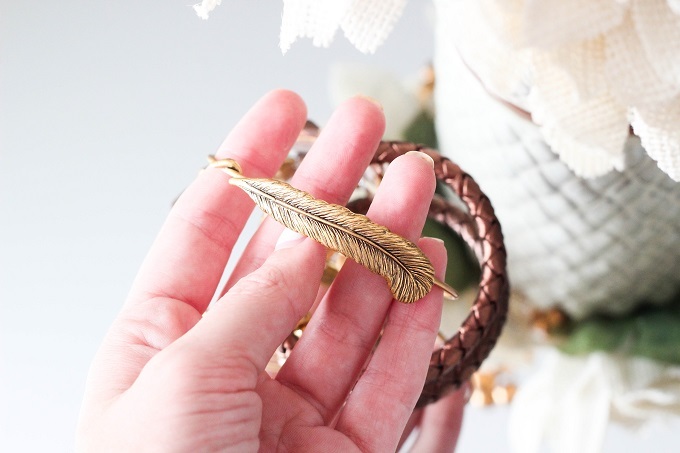 My favorite piece is definitely the Feather Bangle, which is one of my most worn bracelets. It layers perfectly with almost any jewelry look I go for. 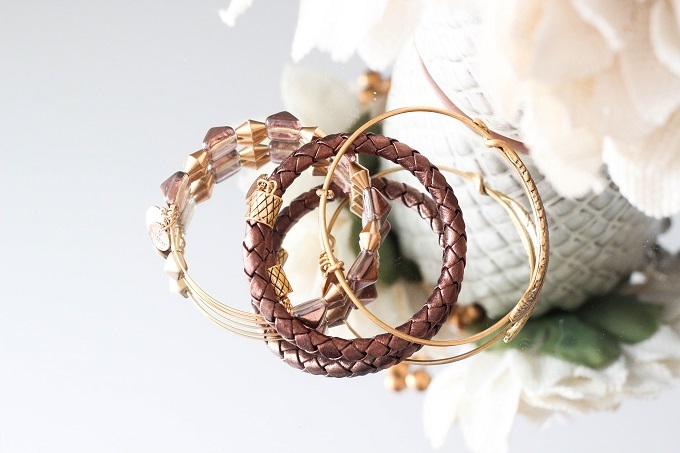 The Copper Metallic Leather Wrap is also a great layering piece! I went for the Beaded Bangle to finish my stack. It's not something I would normally choose but I love it's unique gold and bronze bead pattern. I'm such a sucker for simple and timeless jewelry and these three bracelets embody that perfectly! *Alex and Ani provided me with the pieces provided in this post. I was in no way compensated to talk about this brand or their products. However, this post does contain affiliate links.